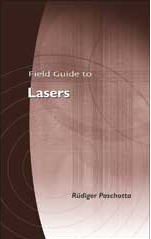 Ultrafast optics is the part of optics dealing with ultrafast phenomena, i.e. phenomena which occur on a time scale of picoseconds or less. Typically, ultrafast optics experiments involve ultrashort pulses as generated with mode-locked lasers (→ ultrafast laser physics). As ultrafast phenomena are too fast to be directly monitored with electronics, optical techniques, such as pump–probe measurements, are required. With such techniques, phenomena occurring on time scales of picoseconds or femtoseconds can be monitored. Examples of such phenomena are femtosecond dynamics of electrons (particularly in solids, e.g. in semiconductor devices such as SESAMs), light-induced phase changes (e.g. melting or vaporization of metals), chemical reactions, and processes in plasmas. Currently, ultrafast optics is being extended into the sub-femtosecond region, where attosecond pulses (or pulse trains) are obtained, e.g. via high harmonic generation with intense ultrashort pulses.